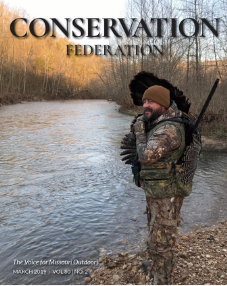 Read the latest issue of the Conservation Federation, the official publication of the Conservation Federation of Missouri. Click the cover of the magazine to enter the full screen viewer. To view past issues, click here.